Did you know that working memory is often touted to be the best indicator of academic success? However, if a student is easily distracted, the academic content can be missed or it can fade before it even reaches this vital part of the learning process. Executive functioning, or what I like to call the Grand Central Station of the brain, houses both attention and working memory. In fact, attention and working memory operate in tandem, because attention is required to process and manipulate information in one's mental workspace or mind's eye. This includes both auditory information such as following oral directions as well as visual information such as making sense of a complex puzzle. Researchers at The University of North Carolina examined the relation between working memory capacity and attention. They found that students with higher working memory capacity maintain attention better than those with a lower working memory capacity. For many struggling readers, sight words can seem like an impossible hurdle. Sight words are high-frequency words that are commonly seen when reading and used when writing. Students are encouraged to memorize these words by sight because most do not follow standard decoding rules and can not be "sounded out." What if a Student Struggles with Visual Memory? Over the years, I have tried a multitude of strategies to help my struggling students master sight words. 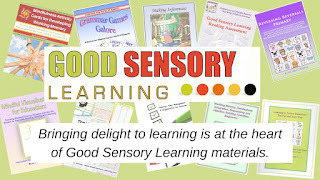 Repetitive, multisensory lessons were a bore, games were a great improvement, but the best technique, to begin with, is creating a multisensory memory book. Instead of expecting students to use rote, visual memory, I like to teach my students hooking strategies and have them record their ideas with colorful markers in booklets or notebooks. It is a word diary of sorts that students can title with their own fun, creative name (e.g., magical memory strategies...). 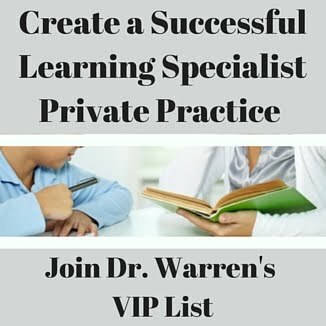 When I first began my private practice about 20 years ago, my primary focus was remedial reading with Orton Gillingham (OG) methods. With my doctoral training in hand, I continually reviewed reading programs, read books, and went through a number of OG training courses. Although the suggested materials were purported to be "multisensory," I still found the process, for the most part, dull and boring. In addition, I often had to bribe my students with candy and stickers to read long lists of words and complete tedious drills. What could I do to make the process fun, exciting, memorable and even more multisensory? Multitasking seems to be a habitual challenge that many students face. For instance, juggling modern-day technology while completing homework is a common undertaking. As a result, many young learners fall prey to constant interruptions from social media, online video chatting, texting, television and more. 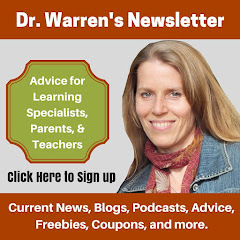 Although there are some benefits to being able to shift from task to task, the learning process, as well as the time it takes to complete assignments, is often hindered when attention is continually interrupted. In fact, research suggests that the best way to optimize learning potential is to give one's full attention to a task, and for many young learners this means that they need to develop a metacognitive or mindful approach to learning. If I Opt Out of the SATs or ACTs What Are My College Options? College entrance exams are a multimillion dollar industry that feeds the pockets of the companies that make them, as well as the tutors that help to prepare struggling students. Recalling my own experience with college entrance exams like the SAT over 30 years ago, I would have never believed that they would still exist. As we all know, powerful corporations tend to maintain their stronghold well after the downsides of their products are exposed. What Are the Problems Associated with the SAT and the ACT?